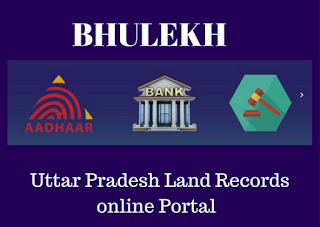 The Board of Revenue Department, Uttar Pradesh (UP) Government has Computerize Land Records details, which will be link to Aadhaar Card ( Uidai ), Banks and sub-register offices.The Purpose of BhuLekh web application is to computerize the Land Records of Uttar Pradesh, in such a manner that the day-to-day activities of land records can be streamlined. BhuLekh application maintains the complete life cycle of Khataunies. BhuLekh Data API is an interface for of Land Records Data with other applications in a transparent way. Using BhuLekh Data API one can get access to Land Records Data i.e. Owner Detail, Plot detail, Verify ROR etc. Web based Land Records system has already been started since May 2nd, 2016. With the inauguration in these three tehsils, Web based software has been implemented in all tehsils of district Bijnor and district Bijnor has become the first district in Uttar Pradesh to implement web based land records Online System. 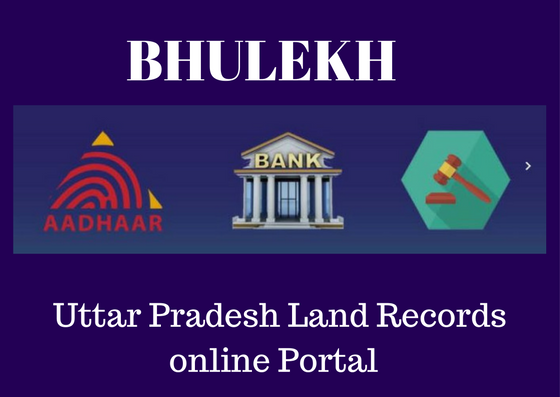 How to check Uttar Pradesh (UP) Land records online from the Bhulekh website? Gata / measles number, or account number or by name, can see its imitation Khatoni. Take Printout of UP Land Records (Khatauni ) Details for future reference. Uttar Pradesh (UP) Government has also launched an android app, making the Bhulekh portal mobile- friendly. People can access portal their Smart phone very easy and anywhere. People need to download "Bhulekh app" in their Smart Phone and installed. and check UP land details on mobile phone.